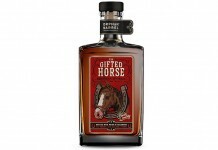 If you had any doubt about the explosive growth of micro-distilleries in America, you need to look no further than High West Distillery located in Park City, Utah. 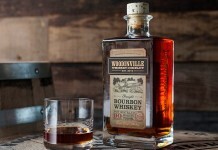 The mere thought of a distillery in one of the driest states in America is mind blowing. In Park City there are extremely strict rules and regulations about where and when you can drink. To drink in a bar you need to purchase a “membership”. It’s almost unfathomable to find a micro-distillery based there. High West Silver Whiskey (80 proof) is based on a mix of 85% oat and 15% barley malt. The whiskey is aged very briefly in toasted french limousin oak. Like most white whiskeys, it’s clear with a bright silvery sheen. The nose has some subtle sugary vanilla undertones and faint banana. It’s a fairly underwhelming nose without a lot to grab on to. The taste is fairly sugary and singular. There’s not much depth here with a whiskey that feels extremely thin on the palate. There’s a hint of heat here but it quickly dissipates into a fairly short vodka-like finish with a glycerine residue left on your palate. Unfortunately High West Distillery has a lot of the characteristics of the oats that they’ve distilled from. Mixing the barley with the oat seems to have subdued the banana like tones you can get from an oak whiskey. Also, I think it would have been better at a slightly higher proof; a little extra fire would give this whiskey something to grasp on to. 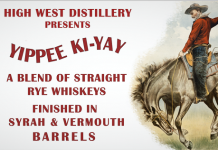 High West has gotten a lot of acclaim for their Rye Whiskey and perhaps that would have been a much better mash to use for their white dog. While it’s a clean whiskey (not a term usually associated with whiskey), it’s also a fairly dull one. The whiskey doesn’t seem to have gotten anything out of being in oak and it fails to deliver anything interesting in the palate. Perhaps more time in oak would help, but that then begs the question, should this be a white whiskey? There’s very little that distinguishes this whiskey from a neutral grain vodka (in fact, it may just be an unfiltered version of the High West Vodka 7,000′ Vodka ). It’s lacking character and flavor and is the thinnest and one of the dullest white dog I’ve sampled yet.